Tips for your Pittsburgh fireplace and wood-burning stove. Residents of Pittsburgh love their fireplaces and wood-burning stoves because they’re efficient and practical for warming a home during the winter months. While some folks toss in wood logs at random, others know there are certain types of woods that burn better than others. And, while wood types may seem insignificant, some wood burns longer than others and some varieties put off harmful chemicals. If you have a wood-burning stove or fireplace in your Pittsburgh home, your friends at Ed’s Woodshed wants you to know about the best (and worst) wood to burn this winter season. Wood is Wood. Or, is it? The answer to this question is simple. No, not all wood is the same. Depending on where you live, there are different types of species to choose from. And each species burns differently in your fireplace or wood-burning stove. Here are a few reasons you’ll want to get to know specific types. Efficiency. How efficient your wood-burning stove or fireplace works depends a lot on the types of woods you burn. Softwoods and oily, resinous types like pine and birch do not burn efficiently, so pass on these varieties when you can. The more efficient the burn, the less wood you’ll use. Safety. Softwoods produce a lot of creosote, which will collect in your chimney causing a potential fire hazard after long-term use. Reliability. Softwood and resinous types also produce chemicals that impact the internal components of a wood-burning stove. In turn, parts like the combustion fan and catalytic combustor may not work properly. Cleanliness. When resinous wood is burned it creates a thick black smoke that will collect on the front of the glass. This clouded effect makes cleaning the glass very cumbersome. The best types of firewood are the hardwood and non-resinous kinds. There are three heavy hitters that burn great and can be found almost anywhere – including your own backyard. Oak. This solid, hardwood burns slowly and is ideal for long-term burning in your fireplace or wood-burning stove. Because of its density, it takes a bit longer to dry, but the long-lasting outcome is well worth the wait. Maple. The maple variety of firewood is readily available all over the United States, making this arguably the most popular wood to burn. This long-burning species is a great choice when choosing firewood to warm your home for the winter. It burns evenly in any fireplace and wood-burning stove. Ash. Ash is another hardwood that burns steadily. Should you have ash trees in your yard, it’s easy to split, making this an easy task to do at home. For the environmentally conscious, the Emerald Ash Borer, an invasive pest from Asia, has ventured to the U.S. and killed many of the ash trees throughout the nation. The ash tree is perfect for those who don’t want to cut down a living tree or purchase firewood that was harvested when alive. 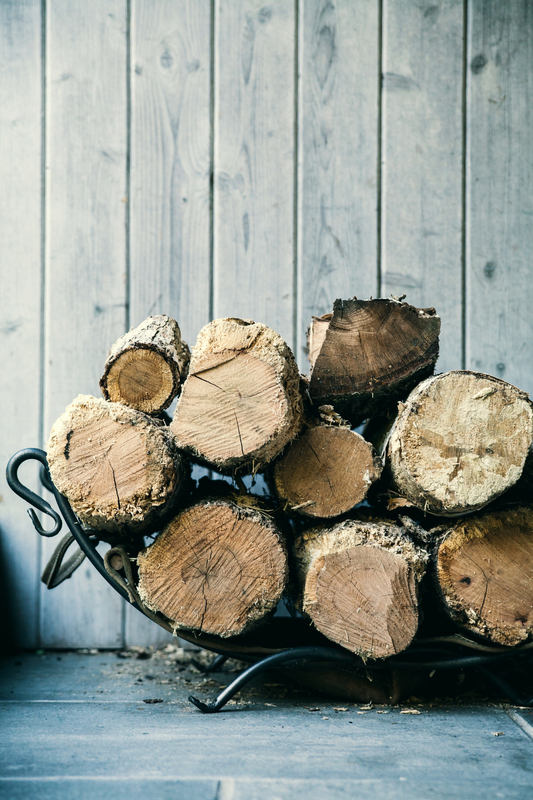 You can cut down your own wood or you can purchase wood from a firewood delivery service. There are benefits of both to consider. DIY split and dried wood: If you have a lot of trees on your property, it’s a cost saver to cut, split and stack it on your own. Of course, there are some safety precautions to take when cutting down a tree, but ultimately, it’s free! Something to consider is the time it takes to dry out the wood, which is approximately 6 months. If you plan to do this, cut and stack your wood around March or April and by the time fall rolls around the wood should be ready to go. Delivery or pick-up Services: There are various firewood companies located in and around the Pittsburgh area. These types of companies take the hassle out of cutting and drying your own wood. These are typically sold in bulk quantities called a “facecord” or “fullcord” and are either dried naturally or kiln dried. The service costs money, but all you need to do is pick it up or have it delivered. Even though this does cost, it’s very reasonable. And the best part about it, its ready to burn immediately. Ed’s Woodshed is Pittsburgh place for fireplaces and wood-burning stoves. For more help on choosing the right types of wood for your home, call us at 412-257-0492.